At Marbles, play matters. In a fast-paced world that prioritizes rigid structure and packed schedules, Marbles provides a safe and supportive environment where children have the freedom to experience exploratory, hands-on play. ​PLAY FOR ALL. Museum admission fees cover less than 30% of the actual cost of providing a visit to Marbles. Donations also support Marbles access programs, bringing purposeful play to more than 50,000 vulnerable children and families each year. PLAY EVERY DAY. 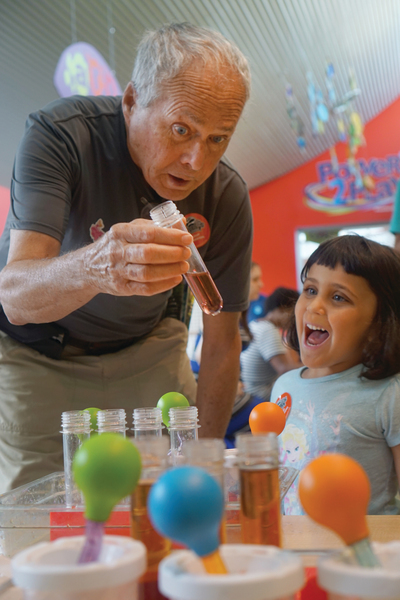 Open 7 days a week to serve our growing community, Marbles works around the clock to deliver award-winning exhibits and programs that spark joy in learning. Research increasingly proves that play is essential, with some pediatricians even writing a "prescription for play" for their youngest patients. Play builds a foundation for academic success, physical development and emotional well-being. Play helps families bond and strengthens relationships between children and parents, caregivers and peers. 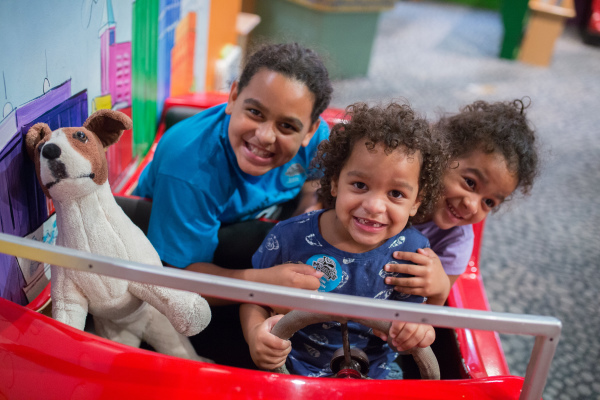 No other organization in North Carolina is better known for developing child-led, unstructured, imaginative play than Marbles Kids Museum; and we prioritize welcoming families from all walks of life. From building innovative structures in IdeaWorks and exploring fresh vegetables in Sun Sprouts, to role-playing as a fire fighter in Around Town and solving playful brainteasers in STEMosphere, Marbles is an ideal setting for learning, growing and connecting. Questions? Contact the Marbles Development Team at DevelopmentTeam@MarblesKidsMuseum.org or 919.857.1064. The mission of the A.J. Fletcher Foundation is to support nonprofits in their endeavors to enrich the lives and well-being of people in North Carolina. We are grateful to the A.J. Fletcher Foundation for serving as a collaborative and supportive partner in playful learning for young children. The Marbles Giving Circle Challenge represents The A.J. Fletcher Foundation's commitment to Marbles, and also their confidence that our generous community values Marbles too and will invest in our future. ​Double your gift for PLAY...Make a donation today! Become a Marbles Giving Circle donor by December 31 and DOUBLE YOUR GIFT. If we raise $50,000 in new OR increased donations of $250+, the A.J. Fletcher Foundation will award us an additional $50,000! That’s a potential $100,000 investment in enriching play... but, we need your help to make it happen. Make your donation today to double the gift of PLAY. ﻿Marbles Giving Circle donations keep Marbles moving forward. Your gift supports access to play for all children and fuels ongoing exhibits and programs at Marbles. Click HERE for Giving Circle levels and benefits.